Today, any new development of a military aircraft is based on certain characteristics that tend to be the same throughout the world. The most visible of these is that of "stealth", as it is possible to observe on devices such as the F-22, F-35, B-2, J-20, FC-31, SU -57, representing the new generation of fighter jets. This characteristic appears as a standard element of any 5th generation aircraft, alongside, among others, active antenna radars and very high connectivity. Stealth is highlighted as an indispensable asset to thwart strategies of "denial of access" and allow the penetration of heavily defended airspace. However, so-called "stealth" planes are only on certain frequencies of the electromagnetic spectrum. Never will an aircraft be able to be completely, because its physical presence will in any case remain detectable by one means or another. 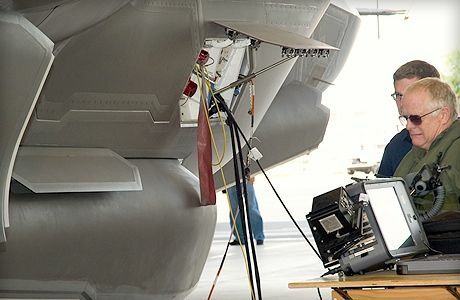 This is also the issue for OEMs who are looking to improve their detection capabilities to equip aircraft or weapons systems and make them effective against these 5th generation aircraft. On the other hand, aircraft manufacturers are also looking to extend the stealth of their aircraft over wider frequency ranges. Thus, the "stealth" did not say its last word. - The first is an active device whose purpose is to return the received signal out of phase so that it vanishes. If this technology is developed to limit noise pollution, it is not yet operational in the world of radar. This involves, at the level of the receivers and the speed of signal processing, techniques still in the research stage. In addition to the technological problems to be solved, this solution is very penalizing at the level of the mass (it is necessary to distribute receivers and transmitters on the whole surface of the apparatus and the range of frequencies covered by these transceivers will be also limited). It is also likely to be greedy in electrical energy and requires a very good knowledge of the electromagnetic characteristics of the radars (intelligence action). To this, it must be added that the power management must be extremely fine so as not to have a counterproductive effect and to return too much energy, which would increase the radar signature instead of reducing it. - The second search axis is also active. It consists of generating a plasma field around the device to make it stealthy electromagnetic waves. This device acts a bit like an absorbent material. For the moment, only the Russians have announced that they have produced an operational system that they would propose for export . Research is also conducted in the United States and France. This technology is complex to implement because the plasma field must be constantly monitored in order to adapt it to the characteristics of the radars that illuminate it (density, temperature, magnetic field, etc. ), which necessarily limits the range of effective frequencies of the plasma. In addition, a plasma field is itself a source of electromagnetic radiation and can emit a glow in the visible. These elements are detrimental to its overall discretion. Finally, it appears difficult today to generate a plasma field that completely covers a platform. - The third axis relates to a coating incorporating conductive microelements that can convert the electromagnetic energy received into electrical current. Studies of this technology suggest that it would be possible to increase the range of frequencies on which this device would be effective compared to current solutions. It could be that this means could go up to 1 GHz frequencies, which would significantly extend the effective frequency range. If, the stealth is far from having said its last word, the detection is not left either. Existing or future stealth devices will still be limited in effectiveness by their frequency range, so any detection system operating outside these frequency ranges is potentially an "anti-stealth" device. If studies on stealth have sought, as a matter of priority, to cover the frequency range from 6 GHz to 18 GHz, it is by chance. Indeed, research on stealth has never been aimed at rendering an object totally invisible, they have sought to defeat the radar of fire control and the radar homing devices of anti-aircraft missiles (air / air systems, air-to-air missiles). air and radar fighter aircraft). 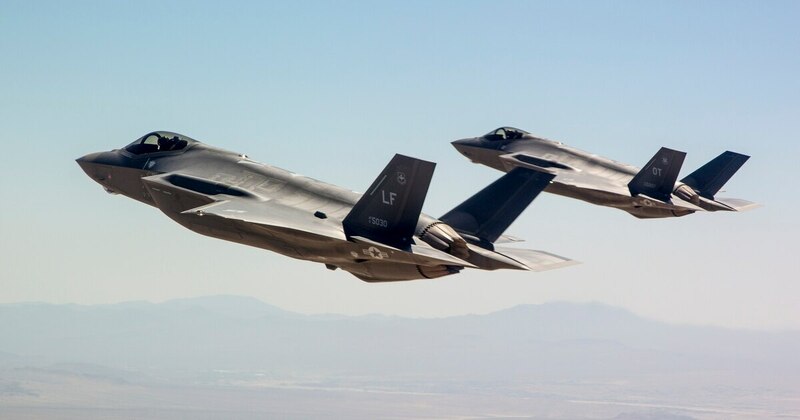 The extent of the virtues of "stealth" has largely been magnified by Lockheed-Martin's commercial communication with the US government to impose the F-35 on its allies. Never has a "stealth" airplane been designed to be invisible to all radars. - Finally, by their frequency range, they are very difficult to jam (congestion antennas, power required). - As for their lack of precision, it is to put into perspective, the new waveforms have significantly improved performance. For example the P-18R, the last evolution of the Spoon Rest of the 1960s, has a distance accuracy of 200 m to 360 km, which is more than enough to make a target designation. Next come infrared devices, including the latest developments using SWIR technology ( Short Wave Infra Red ) can detect objects at a relatively long distance (more than 150 km) with a very good resolution. This wavelength is less subject to temperature and environmental constraints than the traditional frequency band of IR sensors. This device, in addition to being totally passive, is not impacted by the infrared signature reduction measures, or by decoys (by making the water molecules opaque, it makes it possible to bring out the objects). It thus makes it possible to detect and classify a missile or a stealth aircraft from relatively far away. This technology is now controlled by a large number of countries (United States, China, France, Belgium, Germany, United Kingdom, Russia). Last "anti-stealth" device that has been talked about for over a year: so-called "quantum" radars. It is mainly the Chinese who seem to be in the forefront on this subject, but we know very little about it. If this technology fills the debate and opens the way for many fantasies, the physical reality of the phenomenon needs to be clarified. Without minimizing the scientific skills of the Chinese, the term "quantum" can also be a kind of "language abuse" covering a more prosaic reality. The subject will need to be deepened as soon as verifiable scientific evidence becomes available. Can Stealth Defeat A2 / AD Systems? Stealth devices have been primarily studied to be effective against fire control radars and missile seekers. So, effectively, if you reduce a weapon system to its fire and the missile's homing, then yes, it's effective. Only A2 / AD systems  require a very wide-range detection, which implies having sufficiently powerful radars capable of detecting, targeting and guiding the missiles. Manufacturers have developed various strategies to fulfill this mission, which implies different effects against stealth targets. MIM-104 Patriot : In order to increase its mobility and decrease its logistic footprint, the designers have opted for a multi-tasking radar (AN / MPQ-53 or 65) providing surveillance, target designation and missile guidance. The selected frequency band, in the 5 GHz, allows an estimated detection range of 170 km. It is a range of frequencies that remains impacted by the devices of stealth but with slightly mitigated effects. Family S-300 : Unlike the Americans, the Russians have associated several radars to their weapons systems to provide the various functions of long-range air watch (64N6 Big Bird ), low-level watch (76N6 Clam Shell ), three-dimensional radar (36D6 Tin Shield or 96L6E Chease Board ) and fire control (different versions of 30N6 Flap Lid / Tomb Stone ). These radars directly associated with the weapon system are, in general, associated with very long range radars operating in low band (family of radars 55zh6 Nebo, Tall Rack etc.). This series of radars covers a very wide frequency range, ranging from 100 MHz to 10 GHz. The fire control (30N6) operates around 10 GHz, which makes it very vulnerable to stealth devices. This radar ensures the detection and guidance of missiles towards their target. However, the detection function is secondary since the suite of associated radars has already performed this task and provides the target designation information. The function of the radar 30N6 can therefore be limited to the guidance of the missiles, regardless of the detection of the targets. This allows the weapon system to bring the missiles close enough to their target so that their homing device (active, semi-active or IR) can be guided autonomously. Thus, at least for the most recent versions of the S-300 systems, the treatment of "stealth" targets does not pose any particular problems, but has been obtained at the cost of a logistical footprint which remains significant given the number of radars. deployed. S-400 Triumph : This system has kept strictly the same philosophy as for S-300 systems. Associated radars are more modern, some have been optimized for detection of "stealth" targets such as Protivnik-G or 91N6E (modernized Big Bird ). Again, fire control (92N6) still operates in the 10 GHz band but, as with the S-300, its function is essentially missile guidance and not target detection. This weapon system has been specifically designed to take into account, in addition to the rest, the threat posed by "stealth" aircraft. The future S-500 system also adopts the same philosophy but with even better performance. HQ-9: Chinese system competing with S-300 and MIM-104, it is inspired by both systems. Its radar (HT-233) is inspired by the Patriot radar and operates in the same frequency range while the missile part is rather Russian-inspired. Like the American system, the HQ-9 is designed to work with a single radar that provides all functions. However, the analysis of radar sites (see www.arcanit.com ) shows that operationally and unlike the Patriot , it is always deployed with a YLC-2 radar that operates in the 1 GHz band and is therefore capable of ensure detection of "stealth" targets. It is hard to say if this radar is interconnected to the HQ-9 system and can provide the target designation, but it is a possibility that must be taken into account. Even if this possibility does not exist today, an update of the system would allow to implement it relatively easily. Similarly, like the Russians, the Chinese have a wide range of low band radars, some of which are specifically developed for the detection of stealth targets and which, as the site analysis shows, are deployed to prevent any intrusion on their territory. Today it is therefore highly likely that the HQ-9 can handle these types of threats. SAMP / T MAMBA : This French / Italian anti-aircraft system, because of its much smaller range, does not fall into the same category as the previous systems (its performances are comparable to the Russian system S-350 or KM-SAM Korean). Nevertheless, its scope is sufficient to create a significant protection bubble. As for Americans, this system uses a radar that provides all functions (detection, designation, guidance). This radar, the ARABEL, operates in the 10 GHz band, which will make it very difficult to detect mobiles with low RCS. It therefore appears that it would be very difficult for this system to process this type of target in the absence of radar capable of performing the detection and designation. Today, in the case of air-to-air confrontation, most fighters use radars operating in the 9-10 GHz band. In fact, without the support of aerial look-out aircraft (E2C Hawkeye , AWACS etc.) or ground-based radars, it is difficult for them to detect stealth targets, as fighter planes prefer infrared detection to detect them. This is a case where the characteristic of "stealth" is interesting because the most discreet aircraft will be detected last. The SU-57, however, has a remarkable feature over all of its competitors, thanks to its N036 radar suite, which includes four radars: a nose-down radar, two lateral radars operating in the 10 GHz band and a radar. implanted in the leading edge of wings operating in the 1 GHz band. This last radar allows him to detect "stealth" aircraft far enough, before they have had time to detect it, even if his level of "stealth" seems less successful than for the F-22 and F -35. The comparison between the tracks detected by his various radars even allows him to classify the tracks between aircraft "stealth" and not "stealth". This suite of radar associated with infrared detectors allows the SU-57 to have detection capabilities far superior to those of its competitors. Thanks to him, the SU-57 is today the combat aircraft which represents, for the furtive aircraft, the most serious threat. Does stealth still have applications? As we can see today, for the Chinese and Russians, the threat posed by "stealth" planes is already largely taken into account and this characteristic loses much of its interest, especially given its cost, architecture and maintenance it imposes. 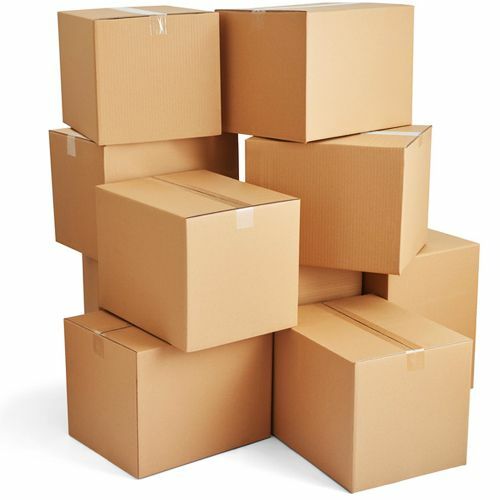 However, the technologies developed keep an interest if they are applied to the good carriers. Today, to think of a piloted aircraft, so relatively big, in terms of stealth, is thinking of the past. The detection means have a lead that does not seem to be able to fill stealth technologies. On the other hand, if one thinks of carriers of small dimension (some meters), like the missiles, the bombs, the drones, to associate to them of the "stealth" can make it possible to increase their chances of carrying out their mission. Indeed, they are naturally too small to be easily detectable by low band radars at great distances; thanks to their stealth, they will have difficulty being detected by high band radars and will therefore be difficult to treat by short / medium range ground / air systems that are not interconnected to a series of radars at frequencies spread in the band. spectrum. They can only be processed at relatively short distance, when the designation can be made optically. It is in this type of case that "stealth" is the most interesting. It is undoubtedly also the consideration of this case that pushes the Russians to systematically deploy PANTSIR / BUK / TOR short / medium range anti-aircraft systems in addition to the S-300 and S-400 batteries to protect sensitive sites. This allows them to complete protection against threats that have not been detected early enough or are numerous (saturation attack). This is the interest of multilayer air defense, a little neglected by Westerners. Stealth is a characteristic that can only be applied to a small range of the electromagnetic spectrum. From the moment that sensors are deployed operating in a very wide range of frequencies, it loses its interest. This technology, given its cost and the maintenance constraints it imposes, must be applied only to certain devices and provided that potential enemies can be vulnerable. As such, the Russians and the Chinese have taken it into account, which means that the use of stealth devices against them is likely to have only a reduced operational effect from the moment the action happens under the cover of their radars. On the other hand, it is also observed that it is the Westerners who are least prepared to face such threats, which explains why Russia and China have an interest in developing these technologies. By neglecting low band radars and multilayer air defense, Westerners have become vulnerable. The United States is in a paradoxical situation, since even though it was they who first deployed and used stealth aircraft, they did not develop anything to deal with a threat they themselves created. Faced with the means of detection available today, the F-35 today appears as a plane, partly anachronistic that only the political weight of the United States and aggressive marketing still allow to promote. On the other hand, applying stealth techniques to small objects really makes sense. This reinforces their discretion and helps delay their detection, allowing them to get closer to their target. It is this association that is the most interesting (and economically most sustainable) and is probably one of the bricks (but not the only one) needed to outwit A2 / AD devices. Tass published an interview in 1999 with Dr Anatoliy Koroteyev, director of the Keldys research center, in which he discusses this device. See article Air & Cosmos No. 2620 of 7 December 2018. Source: RFP for R&D on Disruptive Capabilities for Future Warfare [PDF] by Defense Advanced Research Projects Agency (DARPA), Tactical Technology Office (TTO). Page 5. Although if the author wants to be treated seriously, he really shouldn't be making such mistakes. There's no such thing as S-300 family, there's S-500 family(i.e. what S-300 was originally supposed to be, but it was not really feasible at that level of scientific and technological advancement) and three whole families of S-300: P, V and F. Suffice it to say that they are very different things. Different enough for a Battalion of the same tier SAMS of S-300V family to be worth of 1-1,5 Regiments of S-300P even in purely quantitative comparison(e.g. even on the level of Battery of S-300V4 has in six times more of radar means than S-400 has), i'm not even talking about the differences in technical specifications and tactical capabilities. So the basic jist is that detection is getting around the normal stralth defences until new, very hypothetical techniques are employed, the US and the West are falling behind the curve in that aspect, and the SU-57 has the better means of detecting other comparable gen fighters and therefore, most likely of pulling off the first shot? TL: DR? VLO techniques are useful but not new and certainly not absolute as PR material would make the public believe. They've been around for 30 or 40 years, and you can be pretty sure that not only counters do exist but are being fielded. ...Which was what I just said? Until they arrive, I would like to say that the interview of chief constructor of Su-57 that was in one of the parts of Voyennaya Priomka about Su-57 was very "illuminating." When designing Su-57, stealth was just one detail, with supermaneuverability, supercruise and large weapons bay being seen as more important. Why? Because of what's written in OP. - The second search axis is also active. It consists of generating a plasma field around the device to make it stealthy electromagnetic waves. This device acts a bit like an absorbent material. For the moment, only the Russians have announced that they have produced an operational system that they would propose for export . Pretty much this. When you look at Raffie, there is a redesign between the A prototype and the B/C/M series to add RCS reduction features, but these were deemed much, much less important than having proper hardware and software design to allow sensor fusion and easy upgradeability or maintenance. Having a slightly passively stealthier aircraft that, half a decade after its introduction in the armed forces, is still suffering from unacceptable availability rates and is a maintenance nightmare isn’t really a success. What goes beyond ‘problematic’ and straight into ‘very, very sad’, is that some people actually believe the US, or anyone for that matter, would ever sell an equipment they cannot defeat themselves. Which says a lot about the ‘game-changing stealth’. It's the classic race between defense and offense, isn't it? Stealth was the winner for some maybe 20 years, while the A2/AD systems closed the gap in detection. Now it takes much more than just stealth to be able to enter enemy airspace, do the mission and get back in one piece. The last 4 points in DARPA's RFP say it all: sensor fusion, hypersonics, distributed lethality, UAVs. I wouldn’t even say ‘the’ winner. One element among others, at best. VLO tech was an open secret for decades, since the Eighties at the very latest, and Have Blue didn’t come as much of a surprise after the SR-71 that had early LO tech, as the Soviets most likely discovered on their own. Hell, that everyone else introduced RCS reduction features from the Early Nineties onwards point in that direction, and it would be deeply insulting to engineers and designers everywhere to suppose they did not consider the detection angle at the same time as they worked on the discretion one. Sensor Fusion is beginning to get old too, it’s been in service for two decades. As for the rest, we’ll have to see, but overall, I’ve come to distrust the buzzwords du jour as combat tends to be determined much more by the people than by the tools. A new report, titled "F-35A Joint Strike Fighter: Readiness for Training Operational Utility Evaluation," reveals yet more disappointments on the status and performance of the F-35 fighter jet. The F-35 Program Office accidentally proves the need for realistic cyber-testing when it cancels just such a test. Could ALIS prove to be a weak spot for the F-35? The GAO says yes, but the Pentagon disagrees. Then, shortly after humorously pointing out the shocking failures of ALIS, she resigned. Physically impossible, Windows 9 tried & literally got written out of history. It wasn’t written out of History. It became the F-35’s operating system. This, is the future of stealth tech.